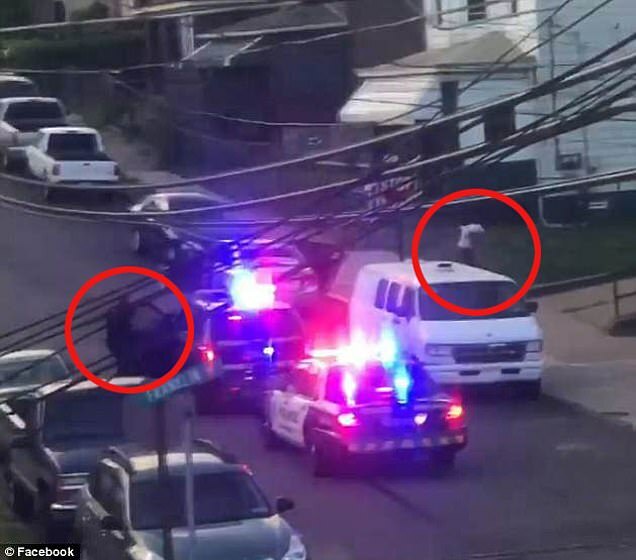 A Pennsylvania District Attorney has spoken out against a jury’s decision to acquit a white former police officer of homicide, after he shot and killed an unarmed black teenager as he fled from a traffic stop. 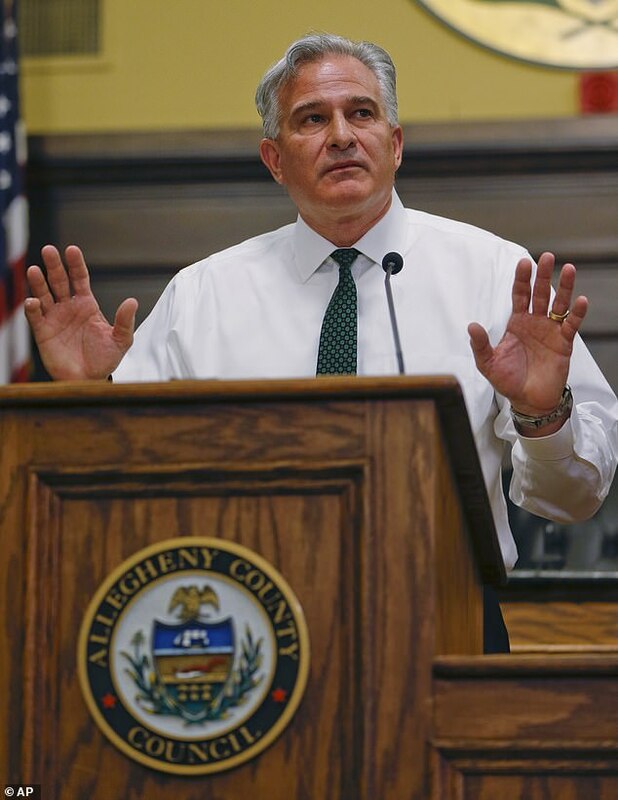 In a press conference on Friday night, DA Stephen Zappala Jr. said he believes the jury were wrong in letting Michael Rosfeld walk from the Allegheny County Courthouse free from any charges. But Zappala said he also understands it’s everyday citizens who ultimately decide guilt in criminal cases, and ‘they have spoken’. He added, that in the interests of justice, he’ll continue to bring about charges against Rosfeld, where charges are deemed appropriate. 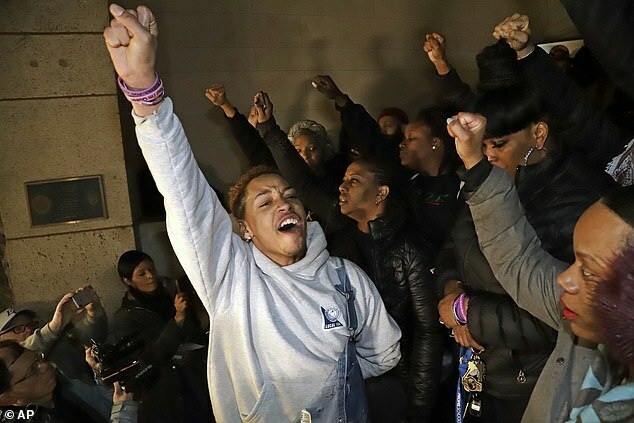 The jury deliberated for less than four hours on March 22, before clearing ex-East Pittsburgh police officer Rosfeld of homicide in the shooting of Antwon Rose II, in 2018. 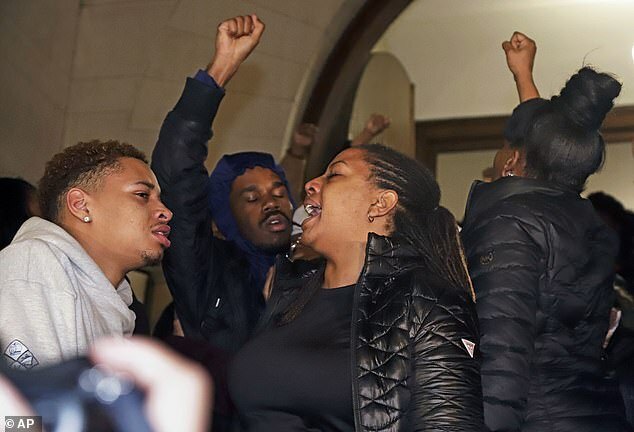 The verdict leaves Rose’s family to pursue the federal civil rights lawsuit they filed last August against Rosfeld and East Pittsburgh, a small municipality about 10 miles from downtown Pittsburgh. 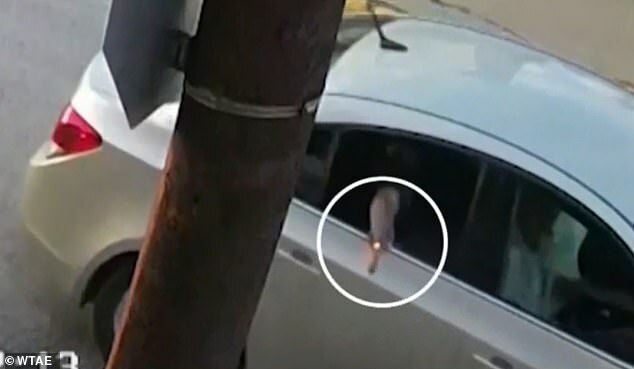 Rose was riding in an unlicensed taxi that had been involved in a drive-by shooting when Rosfeld pulled the car over and shot the 17-year-old in the back, arm and side of the face as he ran away. 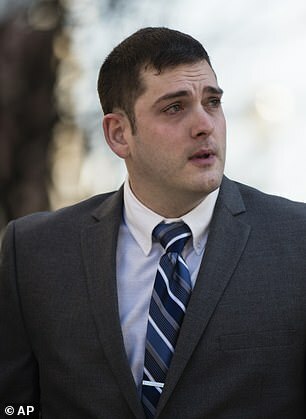 Rosfeld’s lawyer referred to his client as ‘a good man’, adding that he feared for his life in the moments leading up to the shooting and had to make a split-second decision. 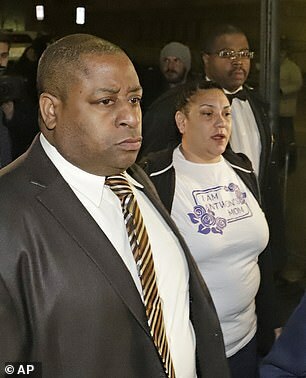 Rose’s family remained stoic after the verdict was delivered. His sister Kyra Jamison had tears streaming down her face and her mother Kenney urged her not to cry. 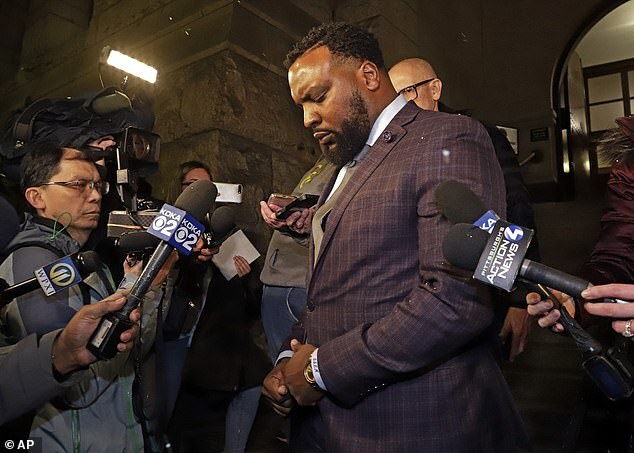 Kenney said she was upset but unsurprised by the verdict, given other cases in which police officers have either avoided charges or won acquittals in similar shootings. 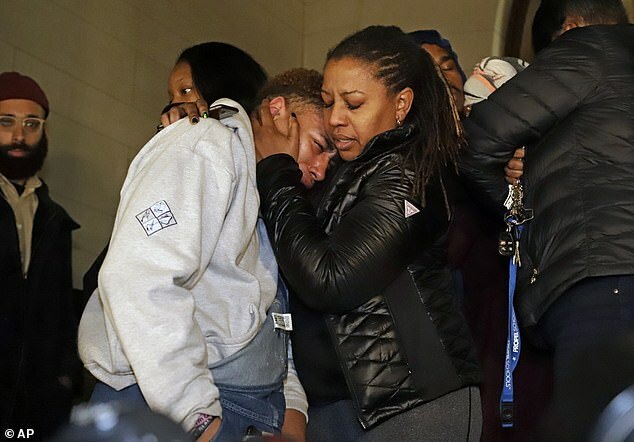 ‘It isn’t what I hoped for, but it’s what I expected,’ she said, adding she feels her son ended up dead because he was black. Rosfeld’s wife burst out sobbing as the verdict was announced. She and Rosfeld were hustled out of the courtroom by deputies. 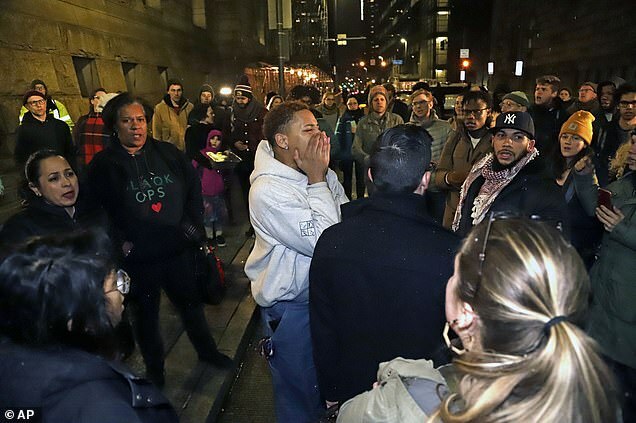 The reaction was measured after Friday night’s verdict, with a small group of chanting protesters gathering outside the Allegheny County Courthouse briefly blocking intersections and entering hotels. Pittsburgh police tweeted the ‘peaceful demonstration’ had resulted in rolling, temporary road closures. The Woodlands Hills School District had released the poem after his death at the request of Antwon’s mother Kenney. The Rose family’s attorney, S. Lee Merritt, had urged a murder conviction, saying before closing arguments that it’s ‘pretty obvious’ Rose was not a threat to Rosfeld. 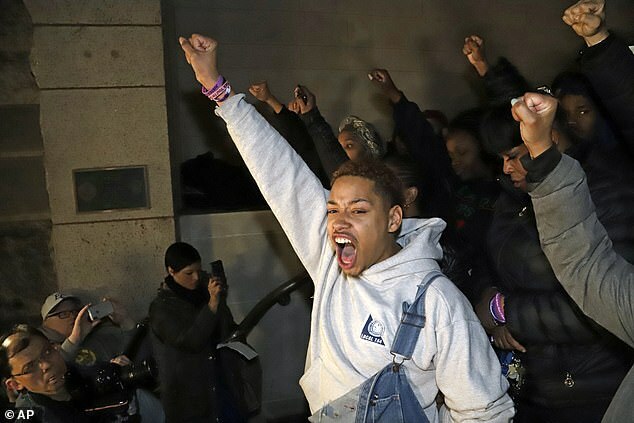 Rose’s death – one of many high-profile killings of black men and teens by white police officers in recent years – spurred protests in the Pittsburgh area last year, including a late-night march that shut down a major highway. On Friday, Assistant District Attorney Jonathan Fodi declared in his closing argument that Rosfeld had acted as ‘judge, jury and executioner’. A defense expert, retired Pennsylvania State Police Trooper Clifford W. Jobe Jr., testified Rosfeld followed proper procedure when he shot and killed Rose. As Jobe returned to the stand Friday for cross-examination, the judge lifted a gag order he imposed on parties in the case at the request of the defense. Defense attorney Patrick Thomassey said while he and prosecutors have abided by the judge’s order, the attorney for Rose’s family has not. On Wednesday, S. Lee Merritt released a letter to the media that Rose’s mother wrote to prosecutors urging them to show what a ‘kind, loving and funny’ person her son was. Rosfeld testified Thursday he thought Rose or another passenger in the car had pointed a weapon at him, and he fired in self-defense. 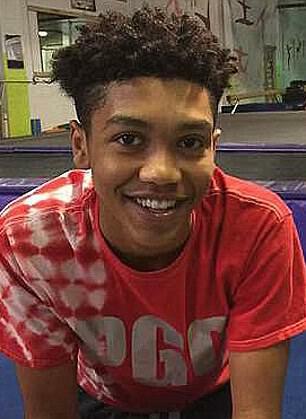 But it turned out that neither teen had a gun at the time. ‘It happened very quickly,’ said Rosfeld, who took the stand in his own defense. 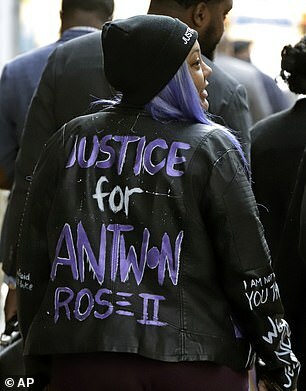 Rose had been riding in the front seat of the cab when another occupant, Zaijuan Hester, in the backseat, rolled down a window and shot at two men on the street, hitting one in the abdomen. A few minutes later, Rosfeld spotted their car, which had its rear windshield shot out, and pulled it over.